Northwestern Aca Alums Team Up For New Project "To New York, With Love"
Three Northwestern University alums have just embarked on a new journey of music and transition, and they're inviting us all along for the ride. 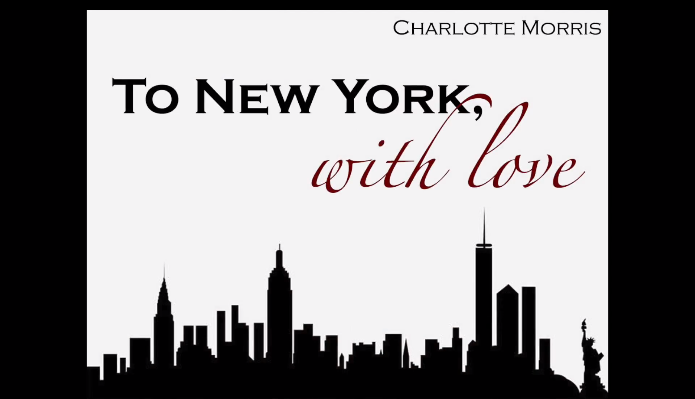 Charlotte Morris, a graduate of Northwestern University and alum of the school's coed a cappella group The X-Factors has partnered up with X-Factors alum Conor Keelan and Northwestern grad Eddie Sanchez to produce a new music project titled "To New York, with Love." If the name Charlotte Morris sounds familiar, it's because just over a year ago she made our front page as a featured soloist for one of our #WCW posts. You can re-watch her performance of "Come Round Soon" with the X-Factors here. Now Morris is planning on showing us even more of her superstar potential with this new collaborative venture. The three part project is an ambitious and exciting undertaking by Morris that she states "is truly a product of the last 10 years of my life." While Morris has been performing for the better part of her life, songwriting did not come into the picture till she was 13. And once it did, she was hooked. So, now as a recent grad, she's looking to make waves in New York and this new project will be her first, post-collegiate endeavor. "To New York, with love" is broken down into three components: an EP, a music video and a live show. With help from Keelan, her past X-Factors' band mate, she will release an EP that will feature four brand new songs. Keelan will also play a major hand in helping Morris produce a live concert in New York by heading up the band. Morris will also work with Eddies Sanchez to film her first ever music video. Here's where you come in! A project this big needs support from the aca-community and music community-at-large. For this reason, Morris has launched an Indiegogo campaign in hopes of raising $6,000. All proceeds will go towards bringing "To New York, with love" to life. To learn more about the campaign, as well as to donate, go here. Additionally, you can check out the project's promotional video below. While we enjoy seeing and supporting all of the endeavors of current college a cappella groups, it's just as important for us to continually support those who are products of these groups. And this a thrilling project that we cannot wait to see the results of.